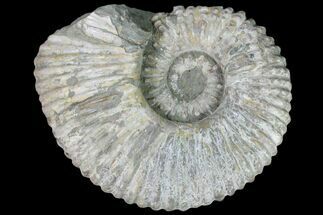 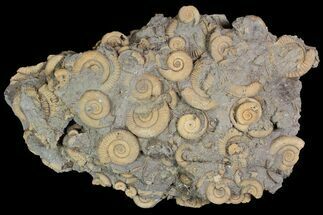 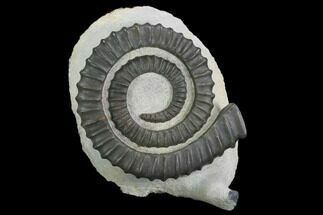 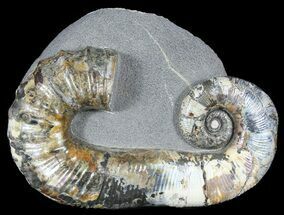 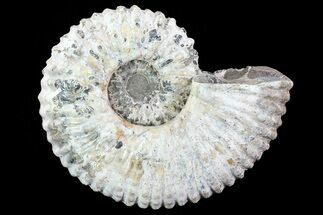 Ammonites were related to squid with spiral shells. 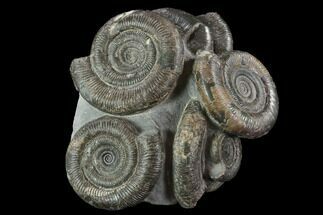 They lived in the outer chamber and had tentacles they could use to grab food. 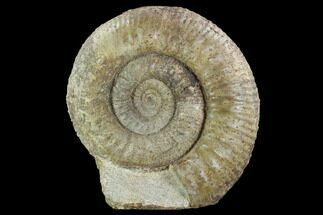 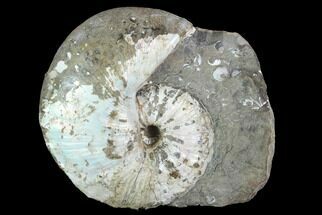 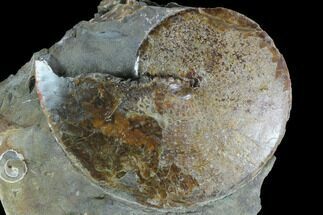 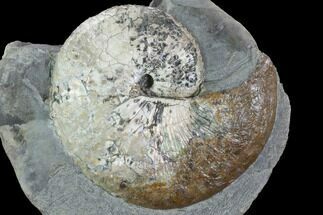 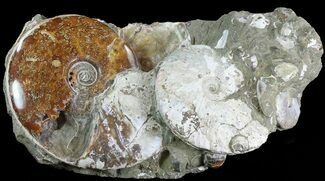 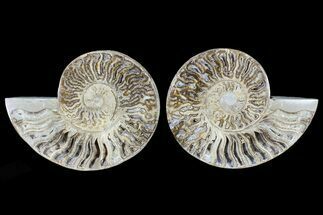 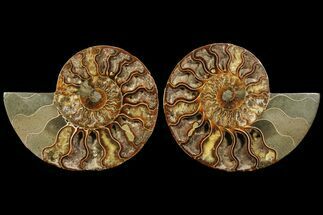 Ammonites went extinct at the end of the Cretaceous period. 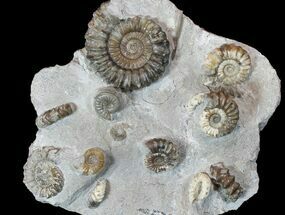 The same time as the dinosaurs. 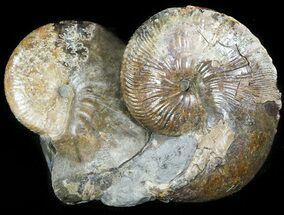 Ammonites could grow quite large. 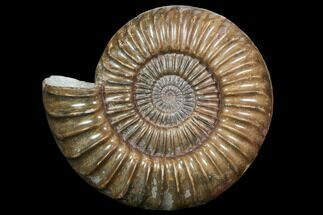 Many species frequently grew over a foot across and there are a few reported specimens reaching gigantic sizes of over 2 meters wide. 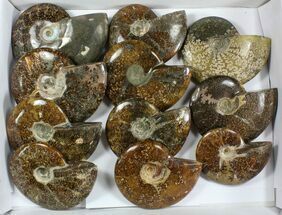 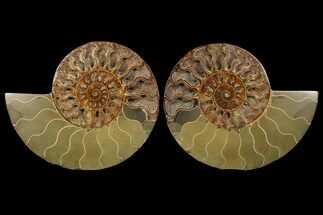 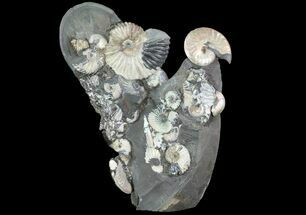 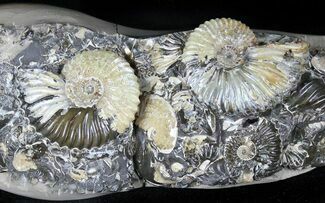 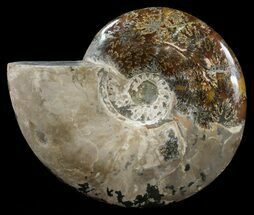 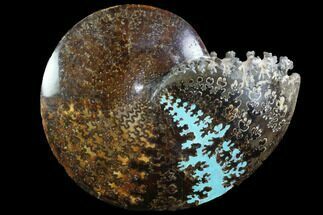 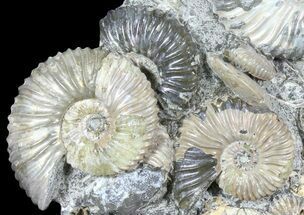 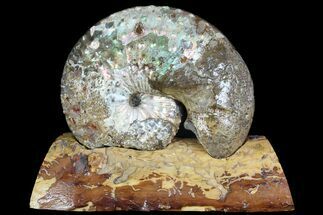 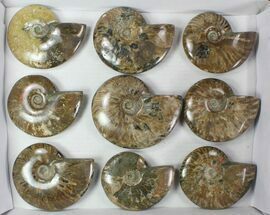 The fossilized shell of many ammonites is iridescent due to the mineralization process, but they would not have had iridescent shells while alive. 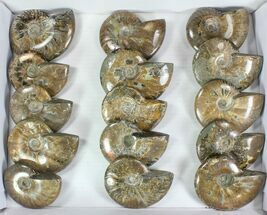 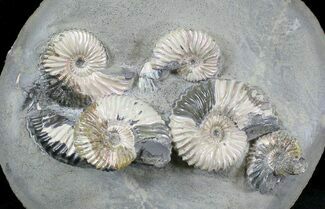 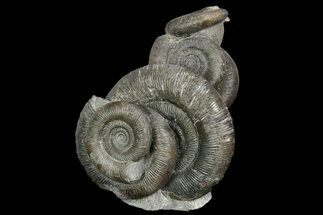 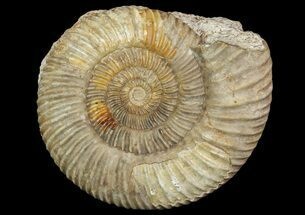 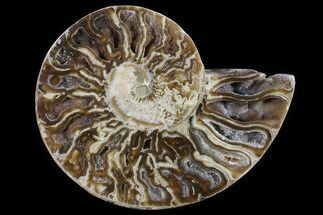 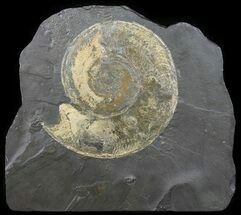 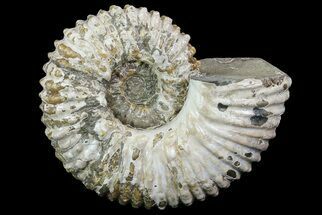 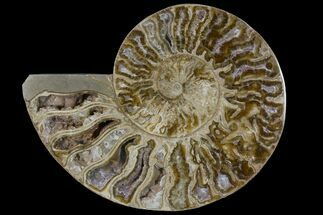 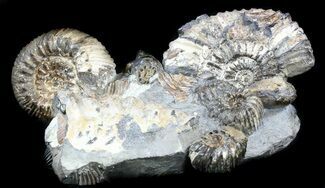 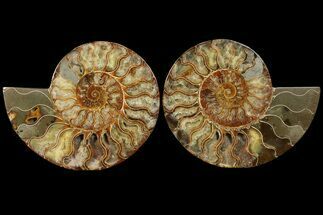 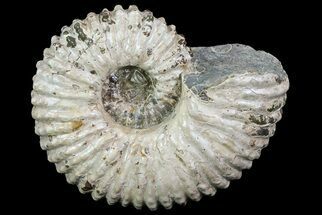 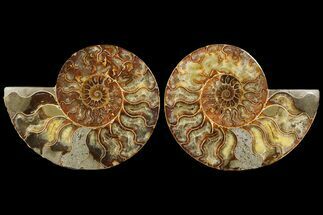 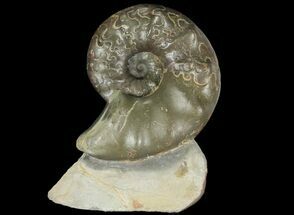 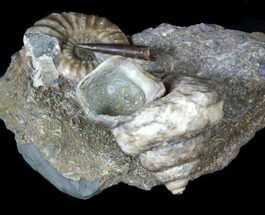 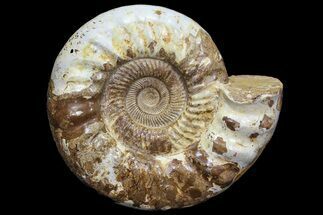 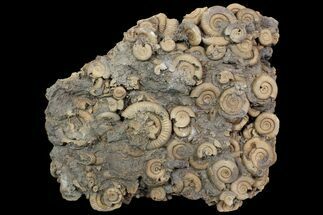 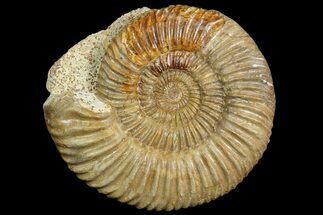 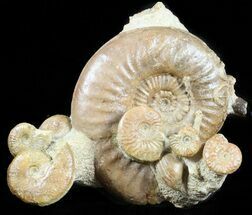 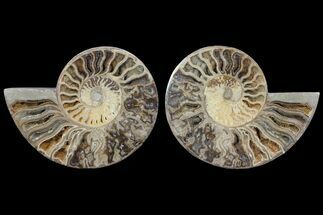 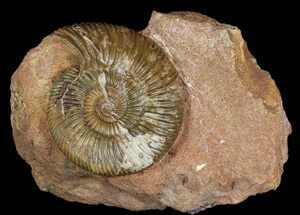 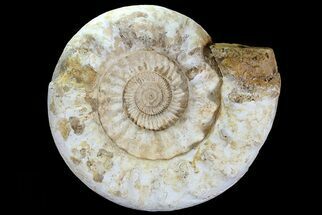 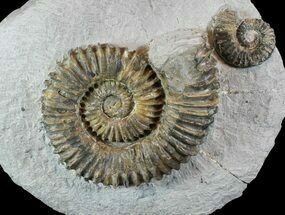 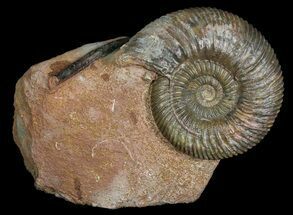 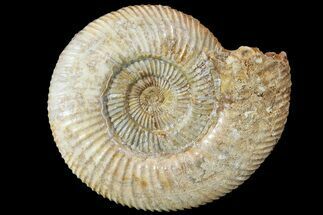 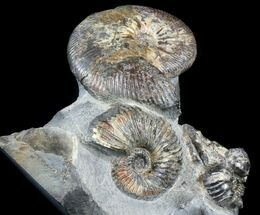 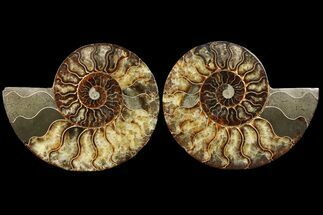 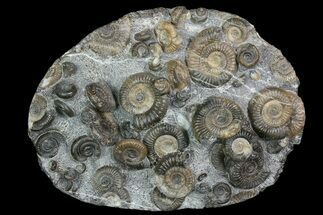 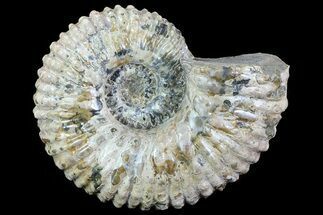 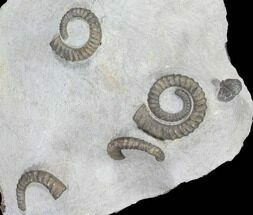 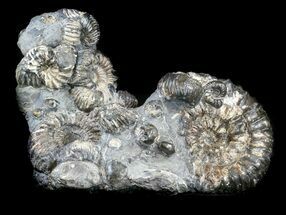 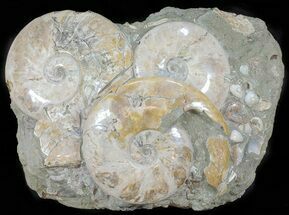 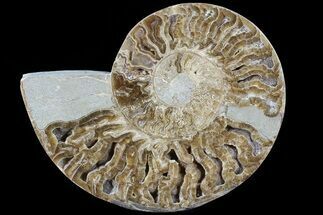 In medieval Europe, fossilised ammonites were thought to be petrified snakes, and were called "snakestones"